← Create an Italian Art Song. A New Opportunity for Chapman Students! 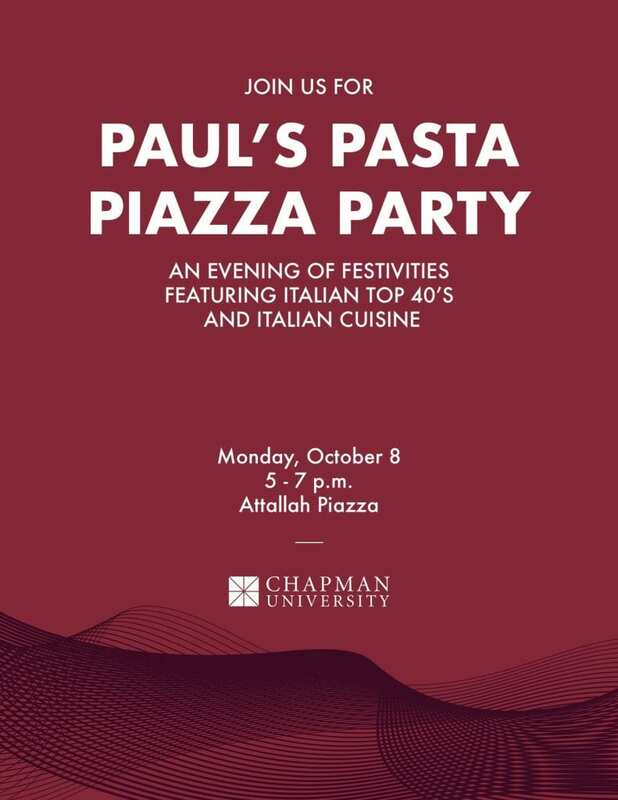 Mark your calendars for the beloved Chapman tradition of Paul’s Pasta Piazza Party. Italian music, cuisine, and good company for all right in the heart of the Orange campus: Attallah Piazza, Monday, October 8, from 5pm to 7pm. Special thanks to Paul and Marybelle Musco.